SHREVEPORT, La. 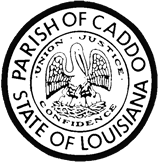 — The Caddo Parish Commission met Thursday evening for its only regular session meeting this month at Government Plaza. It started with one upset woman making claims of animal abuse, and begging the Commission to pass legislation to allow citizens to spay and neuter feral animals. All of her questions and demands were met with the standard reply: they could not respond directly during that part of the meeting, as the Commission rules state. Commissioners did, however, tell her who she could contact and which committee would be most likely to help her. Her comments directed much of the conversation for the rest of the meeting. A presentation was given by Colonel Trey Morriss, Vice Commander of the 307th Bomb Wing at Barksdale Air Force Base, along with special guest Chief Master Sergeant Shelley R. Cohen. Col. Morriss explained how the AFB is working to strengthen the community and serve as both citizens and reserve airmen. As the Commission moved down the agenda to matters of business, there was a proposed ordinance to repeal the ordinance that gave the Metropolitan Planning Commission the power to accept or deny a site plan review for new business ventures. Commissioner Lyndon B. Johnson brought forward the ordinance. It was opposed by MPC Executive Director Mark Sweeney and a few Commissioners, President Matthew Linn being the most outspoken. Sweeney said repealing the ordinance would cause even more red tape for those trying to get businesses off the ground. He also said the site plan review shortened the approval process from 90 days to less than 60 days, however, Commissioner Johnson stood his ground. Johnson brought up one instance in which someone coming before the Commission in November with an appeal could not go before the MPC until January with the current site plan review process. Johnson advocated for a system that would appoint a committee to approve of site plans, instead of “just one person,” that one person being Sweeney. In the end, the legislation was sent back to the Long-Range Planning Committee, or “whatever committee follows up” for further examination, instead of the Commission voting whether to repeal it outright. Parish Attorney Donna Frazier reminded commissioners prior to voting the ordinance would be back soon as part of the Unified Development Code, even if repealed. 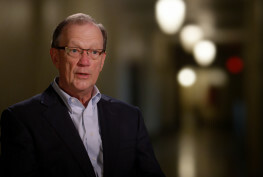 As adoption of new legislation continued, there was a dispute between President Linn and several other Commissioners about the language in one proposed ordinance that would change the by-laws for removing officers. Tension filled the horseshoe as Linn argued the specific language in the ordinance, claiming the ordinance up for adoption was slanted and not the same language voted on in the work session. Eventually the matter was cleared up by Commission Clerk Todd Hopkins, who said the language in the ordinance was the same, but some appeared to have been lost in translation from the work session. Ultimately, the Commission still voted unanimously to pass the new by-laws. There is not another regular session meeting scheduled for this month. All meetings are held at Government Plaza and agendas and video are available at http://www.caddo.org/agendacenter.